Pop-up cat adoption event in Cranbourne TODAY! 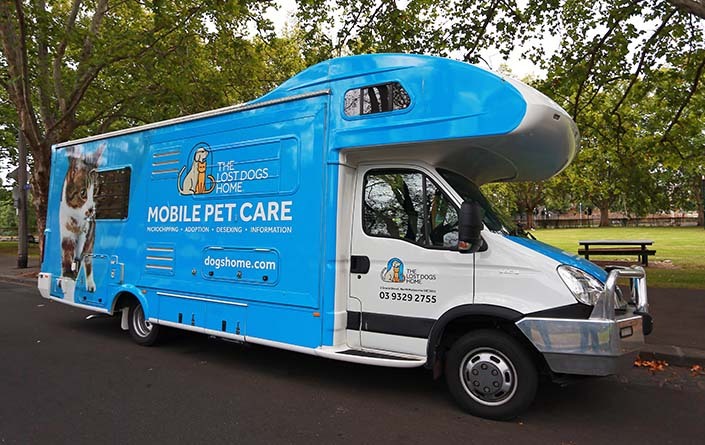 Our mobile pet care unit, MADI, has rolled into Cranbourne for our first Pop-up cat adoption day! We’ll be halving the adoption fees for cats and kittens at this event (not applicable to cats and kittens up for adoption at our North Melbourne or Campaspe shelters). All cats and kittens adopted from the Home are health checked, desexed, microchipped and vaccinated, which is all included in the adoption fee. For a small donation, you’ll receive a starter pack of goodies to help settle your new cat or kitten into your home. With a variety of ages and personality types, there will be one to suit every kind of family. Visit The Lost Dogs’ Home Facebook page to view the profiles of cats and kittens who will be available to adopt on the day. Please note: Unfortunately we’re not able to place a hold on any cats or kittens up for adoption at this event.